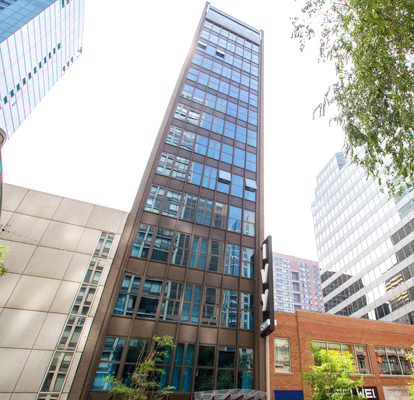 Chicago, IL – May 15, 2018 – American Street Capital (“ASC”) announced today that it has arranged $10.7 million loan for the 63-room Ivy Boutique Hotel in the Magnificent Mile district of Chicago, IL. The subject property is a top-rated boutique hotel in the premier Magnificent Mile district of Chicago. The sponsor required a fast close with a large cash out to negotiate and consolidate debt associated with the property and other assets. The loan also required an initial interest reserve to meet his strategy of repositioning the asset with a new management company. In less than three weeks from the application, the loan closed with a competitively priced 12-month interest only structure that included an initial five months of interest reserve. ASC placed the loan with a correspondent debt fund. The Ivy Boutique Hotel (“Ivy”) is a boutique, luxury hotel that was an adaptive re-use of a mid-rise office building opening successfully in 2012. Designed in a contemporary European style, the Ivy has the largest average room size in the Chicago market. The hotel offers 32 large, 315 square foot studios and 11 very large 675 square foot one-bedroom suites. A high end, 15-story property it offers a beautiful rooftop deck, food service, two banquet halls, and spa services. It is located in the heart of the most desirable location in Chicago for dining, shopping, and entertainment.